I've been playing with my embossing folders, I embossed them with white card stock and inked them with sponge daubers and Distress inks. Here I have used them on cards I made for online friends birthdays. The Cheery Lynn Anastatia border strip hides where my extended embossing wasn't quite perfect. The flowers I made with the Cottage Cutz 3D flower no 4. The leaves are Sue Wilson Orange Blossom Leaves die. 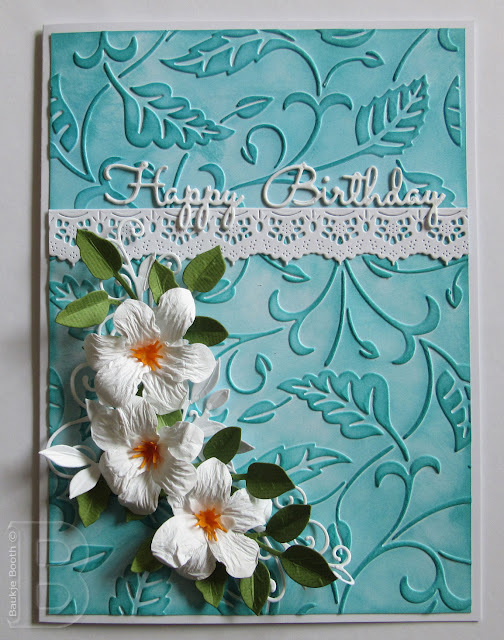 Border is the Martha Stewart Doily Lace Border punch. 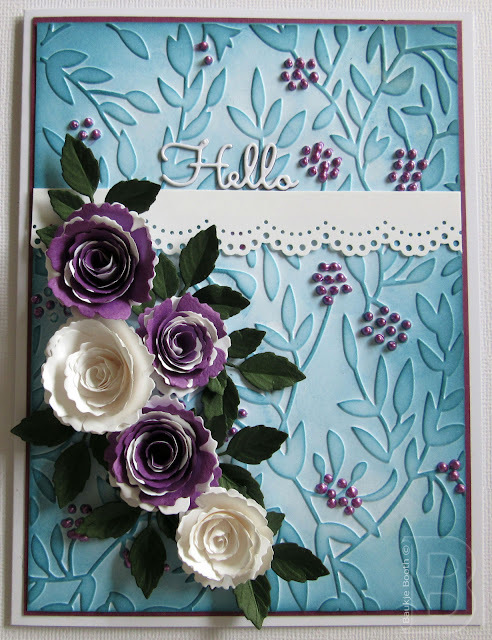 Flowers I made using the Die-namics Royal Rose, for the purple and white ones I just rolled the two colours together. Leaves are from the Sue Wilson Christmas Rose Die set.